Now this being Florida and all, an outsider wouldn't really expect to be thinking about keeping warm or using a space heater since it's always hot in the Sunshine State, right? Well, for the most part you would be correct, but sometimes, the mercury does drop some and it can actually feel a little chilly during the winter months! Some folks, especially in the northern counties such as Jackson, do tend to keep some form of home heating at the ready to stay comfortable when the temperature drops below 20, because when you're used to warm weather, your tolerance for cooler temperatures is not so great. In those cases you need some heating to keep as warm as you had become accustomed to being throughout the rest of the year! Now let's not go crazy here. It is unlikely, unless you are on very high ground, that you will need a whole house central heating system, although some folks don't rule that out, even if it's only for a few short weeks each year. But by far the most popular form of heaters are those small, portable space heaters you can buy at most hardware stores. 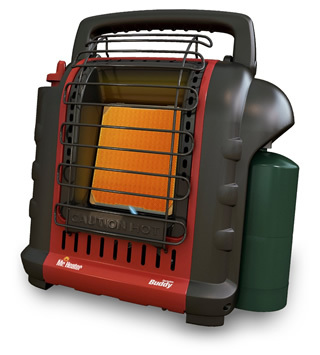 Some folks prefer the simplicity and convenience of electric ceramic or infrared heaters, while others like the flexibility of a portable propane heater for heating individual rooms indoors. Either way, they really only need lower energy units to do the job of taking the chill off the air. You know how cold 19 degrees can feel, right? Well, I know some folks will be laughing their pants off at what must seem to them like a spoof article, cause it's always warm in Florida, so they believe. Well, I can tell you from first hand experience that is not always the case. Just like it's not always boiling hot in the Nevada desert, (OK, it is during the day but it gets cold at night), it can also get cold up here in Jackson. So for anyone getting ready to find something funny in here, the only funny thing is its serious! So for anyone who is thinking of visiting during the winter months, by all means come along because you'll be welcomed with open arms! But just remember that it can turn relatively cool sometimes and in those times you need to be ready with a small heater that you can turn on to stay warm with.